The story of Contessa Diamantina di Roma Lady Bowen’s life. This is a Storylines Q150 digital story. This digital story was by a community group with funding from the Queensland Government. It is a legacy of the Q150 celebrations in 2009. 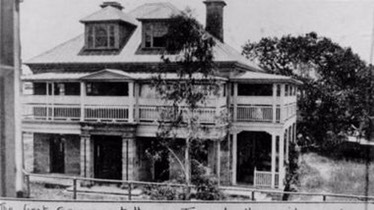 Today is Proclamation Day; the anniversary of the proclamation of the new Colony of Queensland on December 10, 1859, from the first Government House in Brisbane; the requisitioned Adelaide House in Ann Street, onetime residence of Dr Hobbs. Born out of agitation for a new colony shortly after the end of the convict settlement of Moreton Bay in the 1840s, especially given the distance from Sydney where the important decisions were being made, the year 1859 was especially momentous given the pace at which the colony was formed. The signing of Letters Patent creating a new colony with a name which, it is said, was the personal choice of Queen Victoria, occurred at Osborne House on the Isle of Wight on June 6. On July 10, the elegant steamer Clarence brought news of a new colony and separation from New South Wales, courtesy of a banner bearing just one word, SEPARATION, as Clarence progressed the Brisbane River. And now it was almost Christmas and all eyes were directed seaward in search of the warship carrying Queensland’s first Governor, Sir George Ferguson Bowen and his Consort the Countessa Diamantina di Roma, Lady Bowen and their suite which included Adelaide Diamantina (always known as Nina), who had been born in the Ionian Islands; the place of the Countessa’s birth. In December 1859, the excitement within the community of Brisbane was palpable. There were Brisbane’s 4000 citizens, augmented by a further 2000 down “from the Country”; all enveloped in an assortment of Union Jacks and Greek Flags, a triumphal arch and banners carried by various groups of working men. Said warship, the Cordelia, was late … by four days, and this only accentuated the sense of excitement. Rough weather had bedevilled the Vice Regal Party on its interrupted voyage from Sydney. 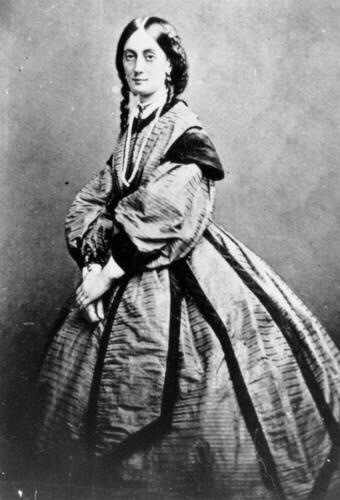 Suddenly, at sunset on the afternoon of Friday, December 9, 1859, Cordelia came into view. It fired a gun and shore-based troopers stationed at Sandgate rushed post-haste into Brisbane and as the next day dawned, the most important ritual was about to be played out. At 9.30am, as reported by Una Prentice dawning on newspaper reports of that time, the paddlewheel steamer Breadalbane started for Moreton Bay with an official party that included Robert George Wyndham Herbert, grandson of the Earl of Carnavon (who shortly thereafter at age 28 would become first Premier of Queensland). First impressions, it seemed, mattered. Bowen, onetime Chief Secretary of the British Protectorate with governance over the Ionian Islands, was 38 years old and described as “tall and portly”, his wife “slender and graceful” and an aristocrat in her own right with precedence over her husband. So it was that the Vice Regal progressed up the Brisbane River aboard Breadalbane to a temporary landing stage adjacent to the City Botanic Gardens of today. It was hot and contemporary sources spoke of “men’s coats turned brown”. At Adelaide House all was in readiness and from a balcony Sir George Bowen was sworn in and then he read the proclamation declaring Queensland a separate colony. Shore-based troopers stationed at Sandgate rushed post-haste into Brisbane and as the next day dawned, the most important ritual was about to be played out. Just as there had been alterations to intended borders prior to said declaration and more were to follow, Bowen – like the victors of the Present – then held aloft his little daughter. 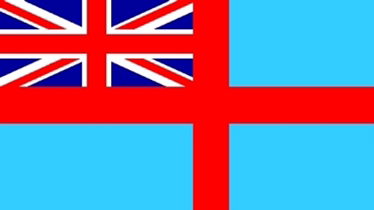 A few days later, at a levee, the first (of what were to become two) Queensland Ensign was unfurled. The colony was open for business. This article is written by David Gibson, Brisbane-based consulting historian. David tweets @BrisHistory, is an author, contributor to the History Queensland magazine and lectures around the world on an assortment of matters historical; with special reference to the Pitcairners, Napoleon and Darwinism.